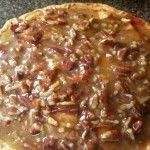 One of the great things about Cranberry Apple Pie with Sweet Walnut Topping, is that it is designed to be made a day ahead of time. 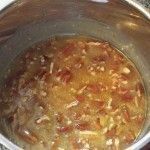 It is always great to have recipes that can be made early when the holiday season arrives. When your cooking a dinner for 10 people, the less you have to cook in the over that day, the better. It is very important to let the pie rest in the refrigerator overnight, this helps all the juices inside thicken with the cornstarch. If you choose to eat it earlier it will taste just as amazing, but will be a bit soupy. Preheat the oven to 350°F. 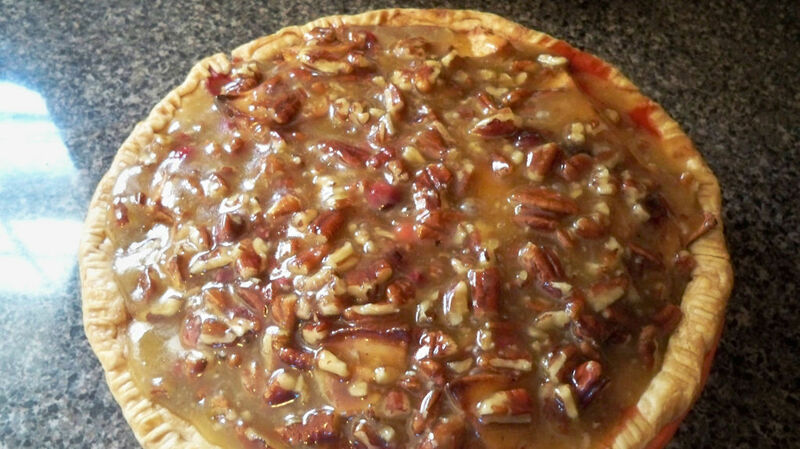 Prepare your favorite basic pie dough, or use prepared refrigerated pie dough. Line 9” pie dish, and refrigerate until ready to fill. In a bowl, combine the brown sugar, cornstarch, cinnamon, nutmeg, and salt, mix well. 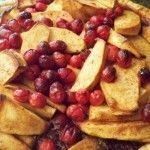 In another bowl combine the apples, cranberries, and lemon juice, and toss well. Pour the dry mixture over the fruit. Melt 2 tablespoons of the butter, pour it over all, and mix thoroughly. In a saucepan over medium heat, melt the remaining 8 tablespoons (1 stick) butter with the granulated sugar. Cook, stirring, until the mixture is bubbling and the consistency of a thick roux, for about 5 to 6 minutes. 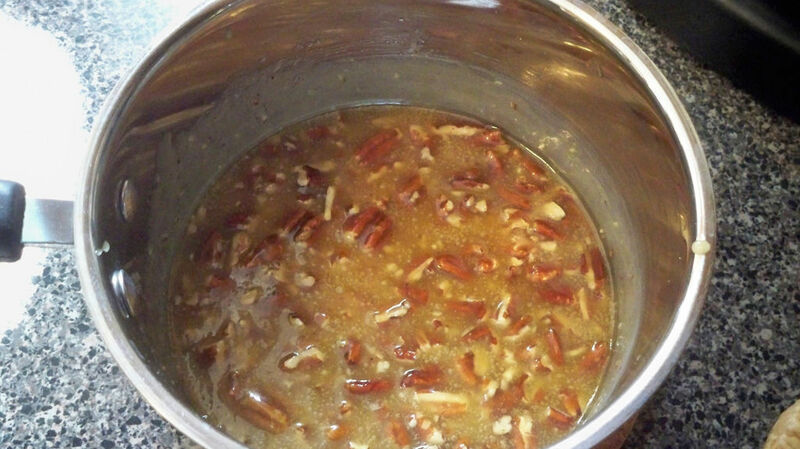 Stir in the cream, vanilla, and walnuts and cook, stirring constantly, for 4 minutes. Remove form the heat and cool for 20 minutes. 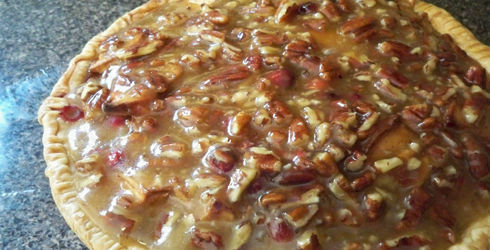 Spoon the topping over the cooled pie and refrigerate overnight. 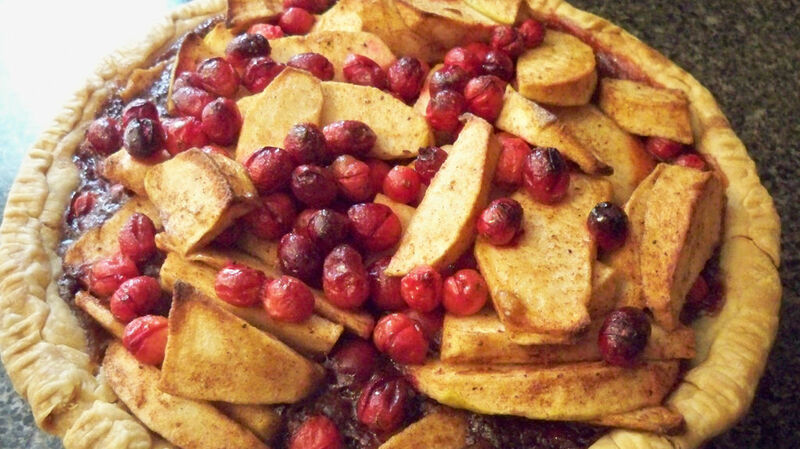 To serve, cut the pie into wedges, and add a scoop of ice cream, if you like. My friend mentioned to me your site, so I thought I’d check it out. Very interesting insights, will be back for more! I read your site often and I just thought I’d say keep up the good work!